Our hire prices start from £250 (if you already have a wedding booked with us) and you can choose any combination of flavours to be served in traditional ice cream cones. The bike will be staffed at all times and this service is available for 3-4 hours per booking. Feel free to comment on here or get in touch direct if you would like to enquire for availability. Can you tell me how many different flavours you can have for the £250 hire please, and also whether or not you’re available 24th September 2016? 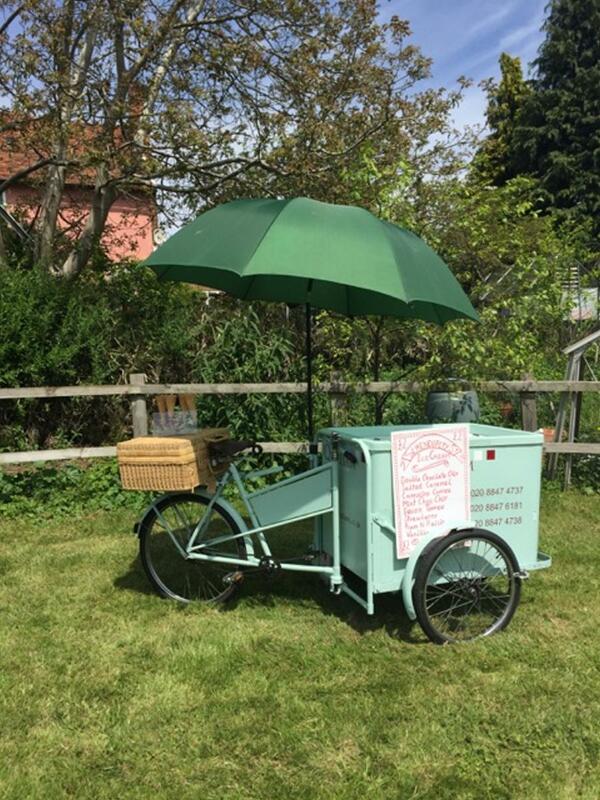 I am getting married in Aldeburgh on 25.08.2018 and was wondering how much it would cost to rent an ice-cream bike for two hours for 100 people and if you have one available?